JD Beach has been racing dirt track for years, kicking off his racing career by winning the 85 Mod class in 2005 at the AMA Amateur Grand Nationals. He’s become one of the most versatile racers in motorcycle racing today and is the winningest Supersport rider ever in the MotoAmerica series. 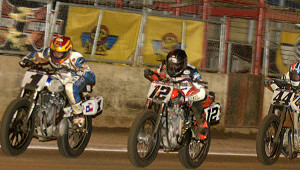 Yet he still enjoys getting the chance to lay down some laps in the dirt with the best in flat track whenever possible. 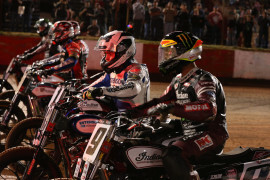 Beach also raced for the first time at the Superprestigio Invitational in 2017, putting America on top of the podium with a victory in the Superprestigio SuperFinal. 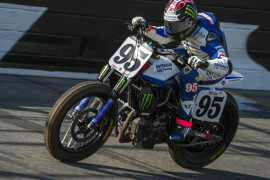 In 2018, JD won the MotoAmerican Supersport roadracing championship. JD rides the No. 95 Yamaha MT-07 DT for Estenson Racing backed by Yamaha and Monster Energy. Early Career First started riding at the age of three. 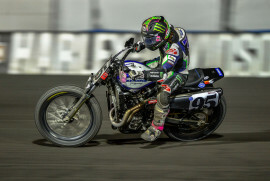 2017 JD Beach was 28th in the Twins standings for the 2017 American Flat Track season after competing only in the Flat Track Finals at Perris Auto Speedway, where he took 3rd place. Raced the doubleheader at Daytona I & II, finishing 16th and 5th, respectively. Rode for Team 95 Yamaha. 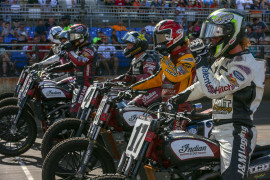 Made select starts in GNC1, primarily focusing on road racing Earned a best finish of fourth position at the Peoria TT. Raced for Yamaha USA and Van’s Yamaha. 2014 A full-time rider in road racing, Beach come out to compete in both TT events in 2014 and qualified for both GNC1 main events. He was fifth at Castle Rock and 11th at Peoria. 2013 Contested a full season of AMA Pro Daytona SportBike, finishing the season fourth in the final point standings with 11 Top 5s highlighted by 7 podiums and a best finish of second in Race 2 at Mid-Ohio. Raced for RoadRace Factory/Red Bull Yamaha. 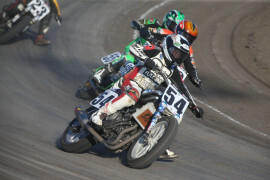 2012 Competed in AMA Pro GoPro Daytona SportBike. Accounted for 17 top 10 finishes in 19 starts. Finished 7th in the standings. Impressive third place finish at Road America as well as NOLA Motorsports Park to wrap up a strong season. 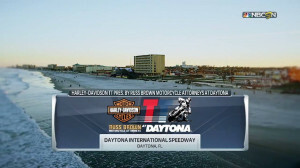 2011 Finished fourth in the Daytona 200 in Daytona SportBike before moving up to AMA Pro National Guard SuperBike, where he earned six Top 10s in 12 starts to finish the year 12th in the point standings. Season-best finishes of eighth came at Barber and Mid-Ohio. Raced for Attack Kawasaki. 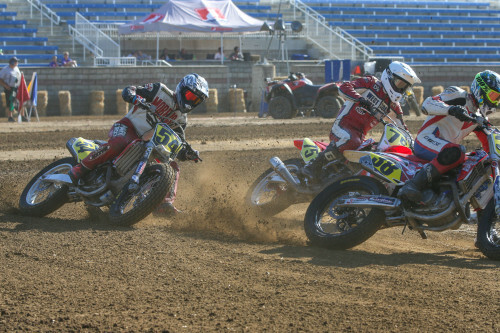 Competed in AMA Pro Flat Track GNC. Out of seven starts in the GNC class, Beach earned four Top10s and one Top5. Raced with Red Bull Honda finishing 15th-place overall. 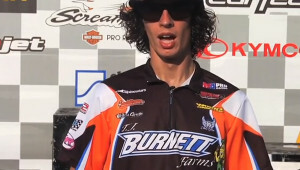 2010 Won the AMA Pro SuperSport East Division Championship. 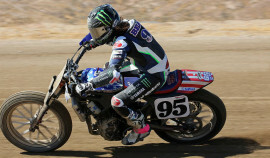 Competed in AMA Pro Flat Track GNC. 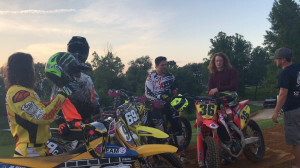 Beach turned Expert at the Springfield Short Track and earned an impressive podium his first outing as an Expert with a third-place finish. Prior to moving to Expert, Beach won an impressive four main events in the Pro Singles class. Raced with Red Bull Rockwall Performance. 2009 Contested the full AMA Pro SuperSport East season, earning three podiums with a best finish of second, also finished second in the championship. 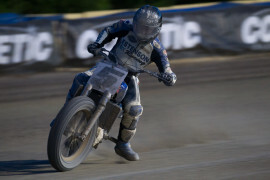 Also finished fourth in the AMA Pro Flat Track Pro Singles Championship, earning three race wins and five podiums. 2008 Won the Red Bull MotoGP Rookies Cup Championship, becoming the first American to do so. 2007 First year of road racing competition in the MotoGP Rookies Cup. Finished 16th in points, with a best finish of 8th. 2006 Raced as a dirt track amateur winning in the 250 class of the AMA Amateur Grand Nationals in DuQuoin, Ill.
2005 Raced amateur dirt track, winning the 85 Mod class at the AMA Amateur Grand Nationals.